Spring has just started and the sunlight is coming back fast. There is still plenty of time to stake out a good stargazing location before it gets too light. Here are some of the best places to see your favorite constellations. Stay at Westmark Fairbanks Hotel and Conference Center to go stargazing in Alaska’s Interior. Less than three miles from the hotel, Creamer’s Field Migratory Waterfowl Refuge is a great place to search for the Big Dipper, one of Alaska’s favorite constellations. 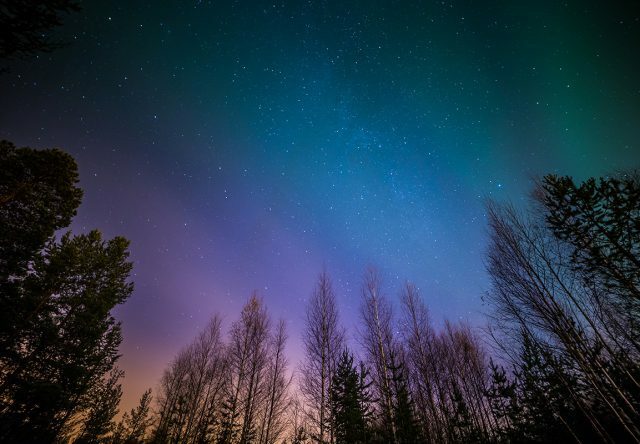 Kincaid Park is close enough to Anchorage to be convenient but far enough to be away from the lights of the city, making the stars in the sky even brighter. Park the car and walk the trails to find the best viewing spot. The park closes at 10 p.m. in the winter, but that still leaves time for the stars to come out. Stay at the Westmark Anchorage to enjoy this viewing location. Even during the summer when the midnight sun prevents stargazing in many areas, there is a way to admire some constellations. 3D graphics projected onto a dome screen accompanied by surround sound in the Thomas Planetarium at the Anchorage Museum takes visitors on a journey to the stars. At the planetarium, visitors learn about astronomy and the solar system during interactive demonstrations and educational programs. Tickets to the planetarium can be purchased online or at the front desk of the museum. At the UAA Planetarium, 60-minute shows take visitors on an adventure through the night sky. Each show is a little different and is followed by a live presentation and time for audience questions. Check the schedule to find shows like the upcoming “Stars of the Alaskan Sky” where guests will be taken on a tour of what’s in the sky this time of year. Which constellations are we looking at right now and which planets are visible? Learn all that and more from the comfort of a warm planetarium! While these are some stargazing favorites, there’s really no bad place to look up to the sky in Alaska and the Yukon. Residential cities are surrounded by vast wilderness to set up under the stars with a thermos of hot chocolate for the night.